Liverpool L2 Gardening & Tree Surgery | Quality Property Care Ltd.
Quality Property Care Ltd. is available for your needs 365 days per year - which includes in weekends and national holidays. Get in touch with the type and well mannered garden maintenance customer support representatives right away to have more info. Make use of this phone number 0151 673 0008 in a most practical for you time! We'll be waiting for your call up and order! Quality Property Care Ltd.has been offering professional garden design and maintenance service to the personal and commercial residents of Liverpool L2 for over 8 years. The leaders of our garden services company have spent a lot of time, effort and resources in discovering, vetting and teaching its professional gardeners in Liverpool L2. In addition, only the newest gardening equipment and solutions are used for all the gardening services made available. The gardeners often come in groups of two and are completely prepared to commence right away. At the very first visit, they will go over the options and the services which need to be delivered, but just after the customer approves of the offer will they start working. 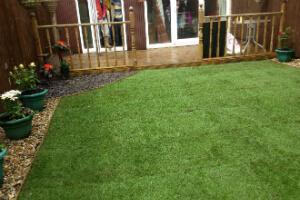 Quality Property Care Ltd. top graded gardening company in Liverpool L2 follows the motto of individual approach + special attention to details as the best formula for success. 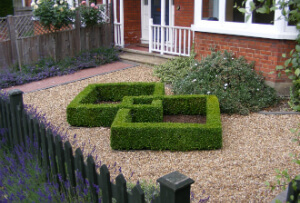 Apart from ordinary lawn care, leaves cutting & clearance, the skilful gardeners also pay attention at speedy ivy removal, grass cutting, weeding for a more attractive appearance of the garden, schrub, strick back, and also careful edging, rotavating, levelling and jet washing. As a consequence of such an advanced approach for reasonable and top-to-bottom garden maintenance, you will get an outer walls to enjoy with no efforts! Plus - our gardening services are affordable and low-cost! And you could obtain the service at a regular basis or just once in a while. Do what you have to do for your garden and get it back well preserved and as it is a picture of your beloved outdoor design journal. Get in touch with us on 0151 673 0008 and request professional gardening services in Liverpool L2 right away!